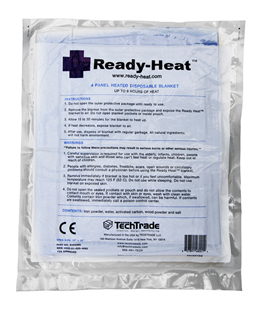 The Ready-Heat 6-Panel Blanket provides slow, continuous warming to aid in the treatment of hypothermia, shock, and trauma. When exposed to ambient air, the blanket gradually warms to 140°F in 15-30 minutes. It will remain warm for 10 hours. Sealed in an oxygen-free protective poly-bag, the blanket's heating elements react with the oxygen in the atmosphere and generate heat once the bag is opened. The blanket is comprised of customized heating panels, which are securely placed in sealed pockets. May be used as a litter for up to 250 lb. The US Army Trauma Combat Casualty Critical Care Handbook states that as many as 66% of trauma patients arrive in emergency departments manifesting some degree of hypothermia. Over 80% of non-surviving patients have had a body temperature of less than 34 degree C. Prevention of mild to moderate hypothermia should be emphasized in military, and especially combat, operations. 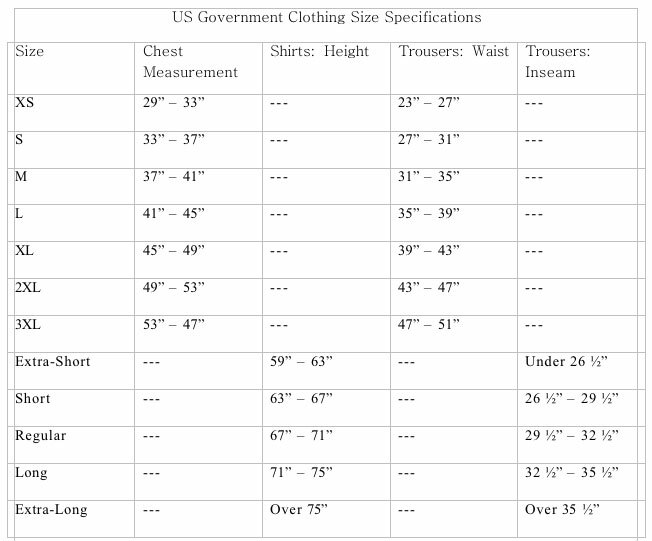 Normally $39.95 each, Glenn's price, limited supplies $29.95 each with free shipping. Note on Medical Supplies: By nature of being genuine US Military surplus we do not guarantee that the supplies are within expiration date. Unless specifically stated, US Military supplies are in sealed vacuum packed packaging which maintains sterility.